It’s time to give Austin and Nashville a break. On a recent Friday afternoon flight to Austin, a bride with a clip-on veil and her seatmates in the row directly ahead of me clinked plastic glasses of pre-take-off champagne—purchased for them by the group of unknown bachelors towards the front of the plane in solidarity. I would have appreciated my own glass, but I was a little embarrassed to admit that I, too, was headed to the exact same location for the exact same purpose. 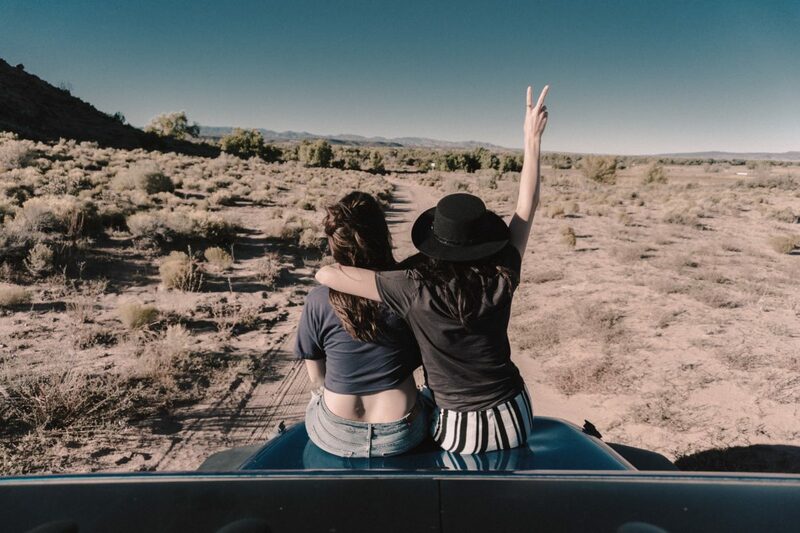 It’s not uncommon for 3+ bachelor/bachelorette parties to be on concurrent flights to Austin—the Central Texas city is one of the top U.S. bachelor/bachelorette destinations, and for good reason. Cheap, charming, and centrally located, Austin offers an escape to unique, highly-Instagrammable cultural experiences yet feels small enough to fit into a single weekend. But as Texas Monthly reports, the deluge of large group, pre-wedding travelers can have negative effects on local communities, making destinations that were once affordable and “authentic” overrun with Airbnb tenants and activities that cater to these mostly white, affluent visitors. There’s a win-win opportunity here: those of us forced to participate in the long-standing tradition of dubious social obligation and presumptuous financial commitment can at the very least afford to break the never ending bachelor/bachelorette location cycle (bar crawls in Nashville, pedal barges in Charleston, two stepping in Austin, repeat). Below, some new suggestions about where to take your pre-wedding bashes. 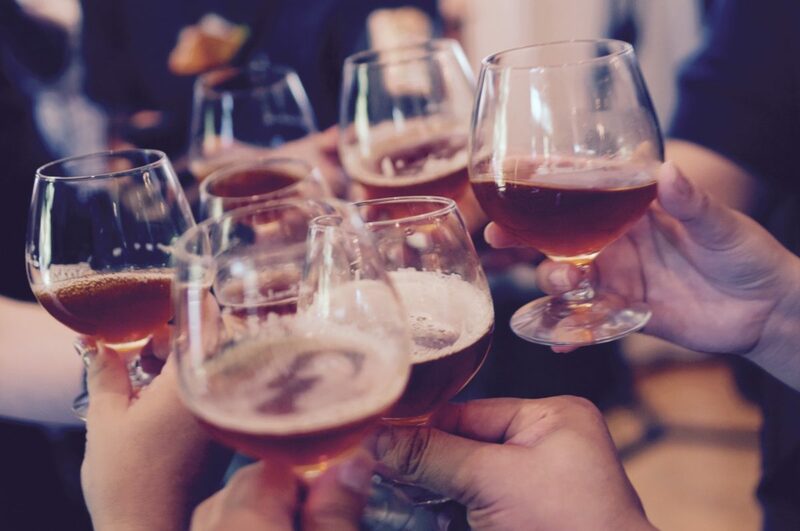 These overlooked party towns check all the boxes for bachelor/bachelorette weekend needs: local flavor, top-notch nightlife, and travel accessibility (meaning they’re pretty easy to get to and get around). Just be sure to celebrate respectfully—mind your crowd size and volume, and by all means, remember to tip your hospitality staffs generously. Just outside Santa Fe. Photo by Ian Dooley. Stay: Downtown. Everything there is walkable, but you’ll need a car or an Uber budget to get outside the city. Drink: Canyon Road on the historic east side has a good bar scene (try Geronimo or The Compound). Closer to downtown is The Dragon Room and Coyote Cafe and Rooftop Cantina. Eat: Try The Shed for an authentic New Mexican experience in an old adobe home. Do: I’m a big believer in the blissed-out bachelorette move, and Sante Fe is a hotbed for the healing arts—try Ten Thousand Waves Japanese Spa or the spa at the Rosewood Inn. There’s also Meow Wolf, the immersive art experience, and skiing in nearby Taos. More traditional art enthusiasts won’t want to miss the Georgia O’Keefe Museum (which also has a great happy hour at their bar, Georgia). Stay: Airbnb it in the Pearl District to take advantage of all the city’s cultural activities—plenty of museums, outdoor spaces, and shops. 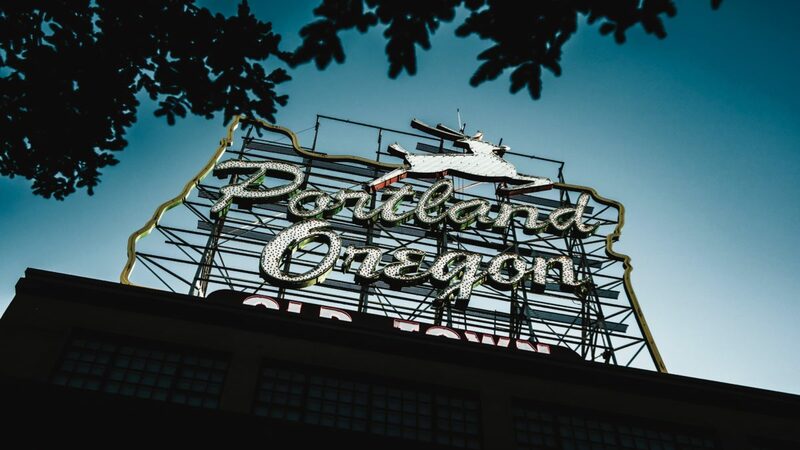 Drink: Portland offers a great way to be in a fun city but also have easy access to one of the nation’s best wine countries. Or stay in town and hop around the city’s famous breweries. Eat: As much as possible. Portland has one of the best local dining scenes in the country. For a good sampling, try one of their many collections of food trucks. Do: Tour the Japanese Garden for some zen group pics, get lost at Powell’s Books, or stroll through the Portland Art Museum. Stay: Depending on what you want, the north side has more secluded-cabin vibes while the south is abundant with casinos and boutique hotels. Drink: A happening bar scene is critical to any ski town’s success. Winos will appreciate Uncorked. Get glitzy at the midmountain Ritz-Carlton restaurant or post up at one of the many casinos on the lake’s southern side. Eat: Lakeside restaurants abound on the south side—try Zephyr Cove, The Coachman, or Reva Grill on the Lake. Try Glazed and Confuzed Tahoe Donut for your hangovers. 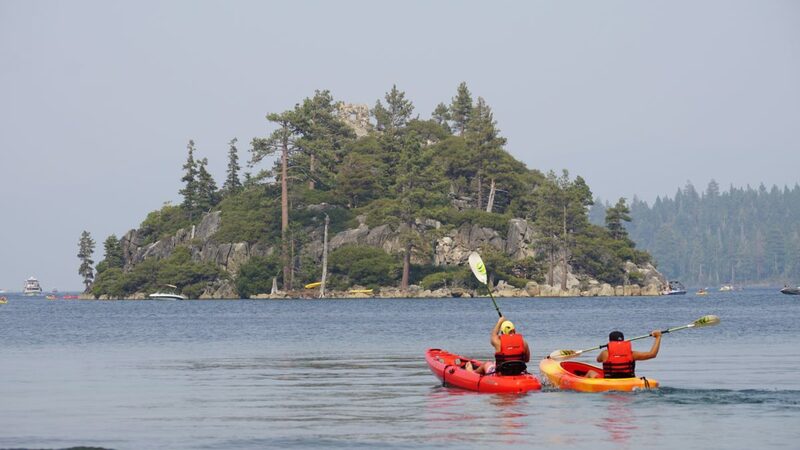 Do: Lake Tahoe is one of those choose-your-own-adventure destinations—geographically beautiful and ripe for outdoor activities (skiing, hiking, etc), there’s also a gambling scene on the Nevada side if you feel so inclined. 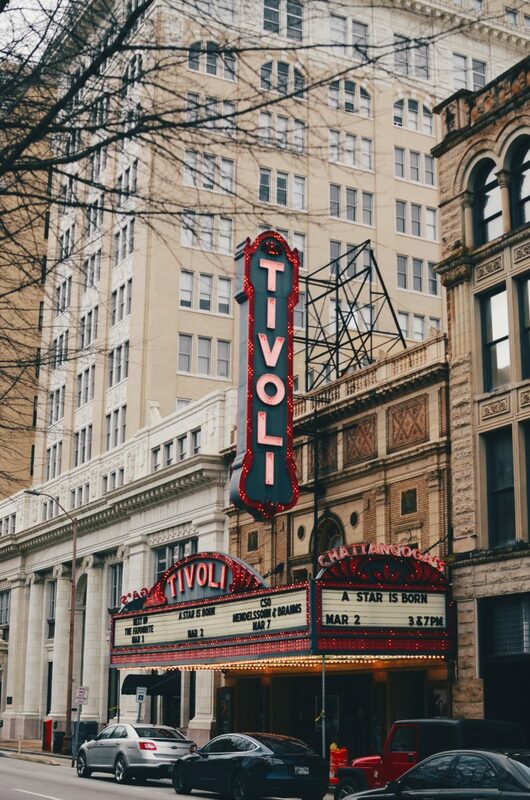 The Tivoli Theater in downtown Chattanooga. Photo by Christian Bowen. Stay: Another charming southern option, Ole Chatty is a good alternative if you’re sick of Charleston or Savannah. Stay anywhere downtown—all the hotspots are pretty walkable to each other. Drink: There’s no shortage of solid drinking holes in Chatty. A good place to start is Flying Squirrel, which can manage large groups and offer craft cocktails. Eat: Specialty foods from Chattanooga Market. Brunch at Whitebird and Easy Bistro and do a nice dinner at St. John’s. Do: Chatty also has a touch of Nashville with it’s live music scene (try Songbirds). For day activities, you won’t want to miss the Hunter Museum or the 60 foot outdoor rock climbing at High Point. 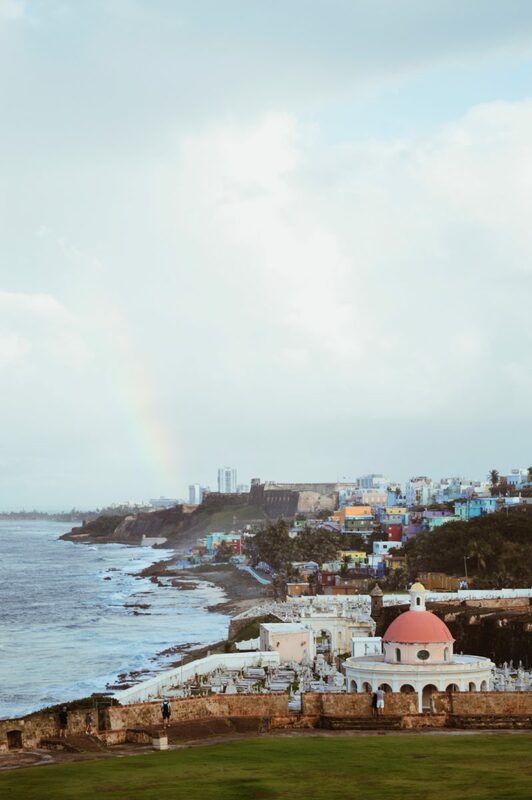 Stay: Near Old San Juan to be as close to the action as possible. Most resorts in Condado or Ocean Park will also do. Drink: Hit up La Factoria and La Respuesta for cheap drinks and salsa dancing. Eat: Do your large group dinner at Santaella. There’s also plenty of (cheap) eateries in Old San Juan. Do: Lounge on the beach during the day or wander the historic old town and forts. Don’t miss a trek to the bioluminescent bays at night, either. Stay: A centralized downtown area that’s also close to the beach with countless breweries and delicious Mexican food? Yes, please. 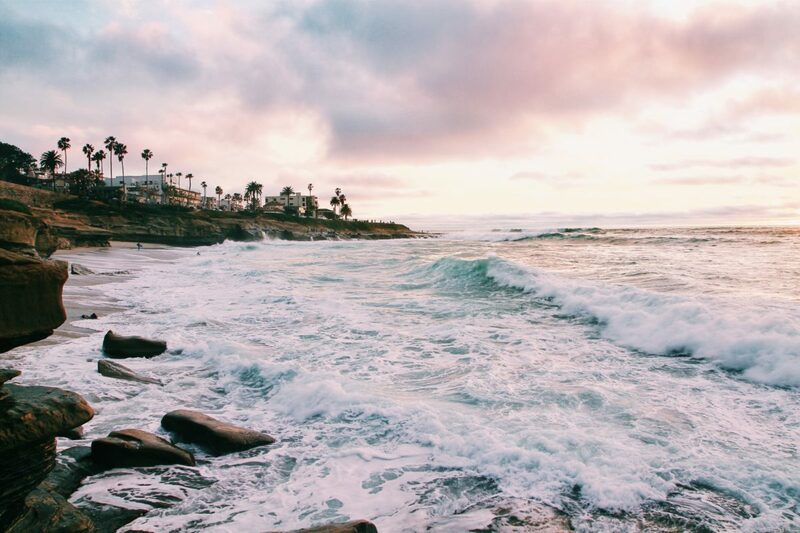 Try Pacific Beach or Mission Beach area for affordable oceanside Airbnbs. For something a little bougier try La Jolla or Del Mar. Drink: San Diego has a huge craft beer scene—some would call it the best in America. You can begin your barhop in the Gaslamp Quarter of check off a bucket list from this detailed map. Eat: El Jardin offers regional Mexican cuisine unlike any you’ve ever had. Do: Hang out at the beach, stroll Balboa Park, or day trip to Tijuana. There’s also plenty of shopping and sightseeing in the historic old town.